Learn Reiki with Reiki Master Gillian Moxom. Gill became a Reiki Master: Teacher and Healing Practitioner in 1996 and soon after established The Healing House. She has been a Full- Time Reiki Teacher and Healing Practitioner since then and now has a practice in St Albans Park near Newcomb, as well as her practice in Ivanhoe in Melbourne. 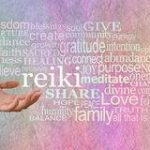 Gill is a Reiki specialist offering pure Reiki Master Healings and teaches all phases of Reiki in Geelong near Newcomb. Reiki can have a profound and positive influence on your general health and well-being. Reiki offers harmonizing & healing for your emotional, mental, physical, & spiritual self. Gill has sensitivity, care, acceptance and understanding with Reiki Master Healings and Reiki Workshops at The Healing House. To offer a supportive space for heartfelt connection.